Standing Water – Standing water is a visible sign of a moisture problem. If you notice standing water in the building, it can be a sign of plumbing leaks. Make sure standing water is cleaned up within 48 hours to prevent extensive water damage. Mold – Another major red flag is the visible growth of mold. Mold thrives in damp environments, so if you notice mold growing in the hospital, particularly in basements or bathrooms, it is a sign of a moisture problem. Musty Smell – Mold has a very recognizable odor, so even if you cannot see it, musty and moldy smells are a sign that mold and mildew have made their way into the building. 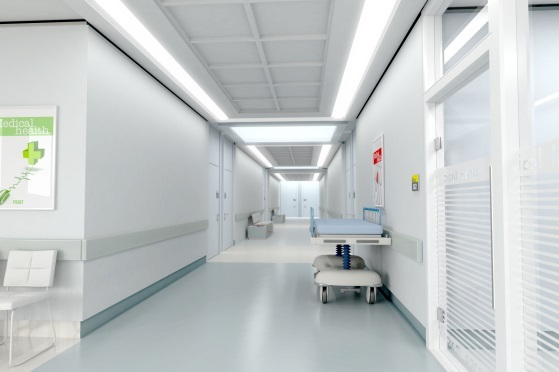 Condensation – Excessive condensation on surfaces in the hospital indicate that the humidity levels in the building are too high. High humidity is a leading cause of moisture problems, so it is essential to check the hospital’s HVAC system right away. Pests – Pests like rats, cockroaches, and termites like to make their homes in moisture-damaged buildings. If you start spotting these critters in the hospital, you may have a moisture problem. Damaged Building Materials – If you notice watermarks, staining, blistering wallpaper, or cracks in brick and concrete, this is a sure sign of moisture damage. If you suspect you may have water damage, contact DKI. We offer professional water restoration for hospitals.